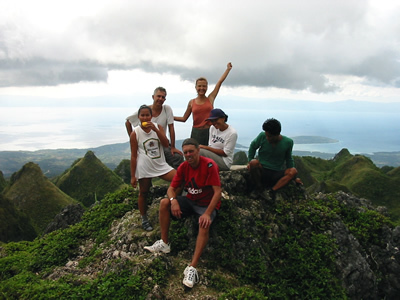 Adventure tours in the Philippines: If you are reading this you are not really one of those who look forward to sit in a dark, air-conditioned hotel room watching foreign TV channels on your vacation. You are interested in adventure, you want to see the country and you want to experience nature. The thought of trekking through deep green jungle, along crystal clear rivers, sometimes overcoming rapids and climbing waterfalls, makes your heart beat faster in expectation. And actually you are looking forward to rappel waterfalls, go into the mountains on a bike, go horseback riding or volcano trekking. All this is available, here in the Philippines, here in Moalboal, Cebu. On these trips, you will be "doing" the Philippines, not just seeing it. These adventures take you to some of the most beautiful rain forests, rivers and reefs in the country. 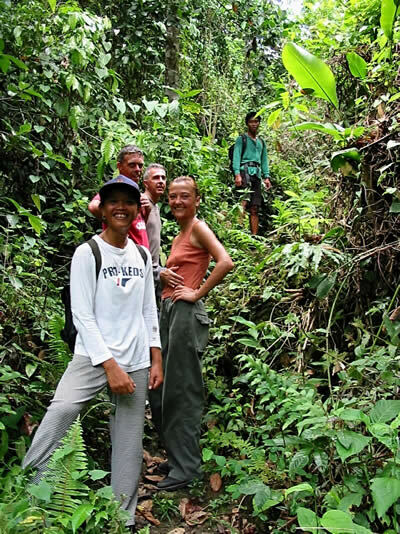 The adventure trips offered here are no mass tourism undertakings, but highly individualized adventure and nature tours, only a handful of participants can join at a time and the action can be challenging. Trips offered are not only for the young lions, you do not have to be an athlete to join most of them, just curios and in a good physical shape. Experience is not necessary for most action activities; beginners will receive training as needed during the trips. Lush valleys, tropical forests, rugged peaks, coastal walks and secluded beaches are part of the magic of Cebu’s stunning countryside. Moalboal, just 2 hours south of Cebu City, is the great adventure sports destination for thrill-seekers of all abilities. Canyoning, abseiling, horseback riding, river climbing, jungle trekking, caving and volcano climbing and snorkeling are all part of the fun. On your adventure trips you will be under the instruction of the professional and experienced guides through the whole experience. All trips offered on this site are day trips (except volcano climbing) and include a generous and wholesome lunch. Prices range from 50-70 US$. For outdoor adventure packages contact us. Canyoning: Complete adrelanine-pumping abseiling & canyoning experience with bushwalks, swimming, scrambling and wading. 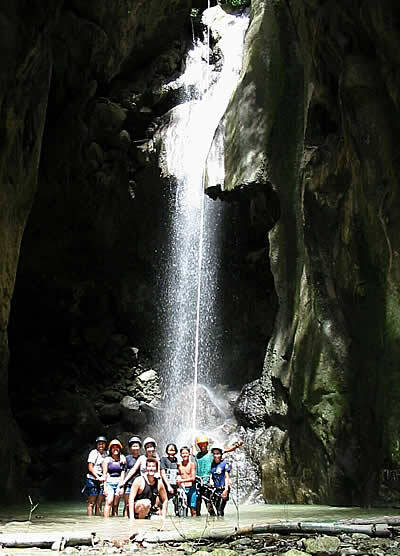 Cebu and its limestone mountains provide an ideal place for spectacular canyoning in crystal clear tropical rivers. Though difficult to access in densely forested mountain valleys, these places offer nature in its purest form. Several tours are offered, one is more basic and one more for adventurers seeking an adrenaline rush. Jumps from heights up to 8 meters and several waterfalls higher than 30 meters are challenge even experienced canyoneers. 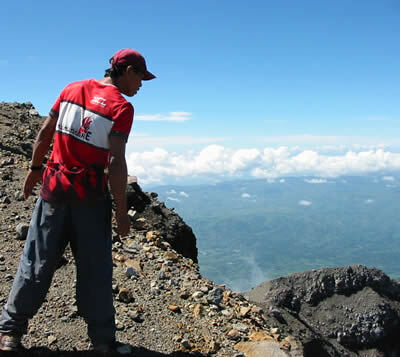 Volcano Climbing: A 3 day expedition to the top of Mt. Canlaon, a still active volcano. Explore an active volcano, Mt. Canlaon on Negros Island. This active volcano, almost 2600 meters high, is one of the 5 highest mountains in the Philippines. Its new crater is a breathtaking 400 m deep and less than 100 m wide. The trail to the top is steep, and you'll trek through different vegetation zones from rich agriculture land to thick rain forest until reaching the lunar-like landscape surrounding the crater. Taking two days to explore this mountain, we'll spend the night at our camp on the crater saddle. 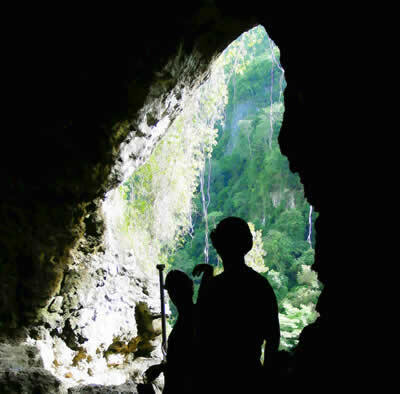 Caving: Use a variety of climbing and rappelling techniques to explore various cave systems in Cebu.